The author of " The Rainy Day," Henry Wadsworth Longfellow, was born in Port�land, Maine, February 27,1807. He was for many years professor of modern languages and literature at Harvard, and resided in Cambridge till his death in March, 1882. 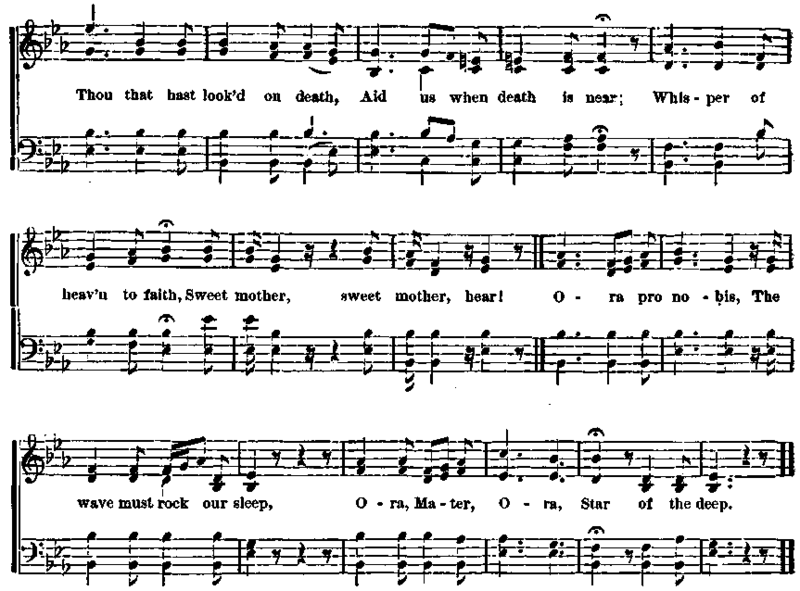 The music is by William Richardson Dempster, who was born in Keith, Scotland, in 1809. He spent his early life in Aberdeen, where he was apprenticed to a quill-maker, but simply followed the bent of his own genius iu quitting his trade and devoting himself to music. He emigrated to the United States, remained several years here, and afterward, by frequent voyages, spent his life about equally on the two sides of the Atlantic. One of his earliest successful publications was his music for Tennyson's " May Queen,* and the frequent songs introduced in Tennyson's longer poema became his especial favorites for composition; indeed, his musical setting of these is the work by which he is best known, and his own singing of them constituted the chief attraction of bis concerts. Their popu�lar success was much greater in America than in Great Britain. His voice lacked the strength and volume necessary in a large hall, but in parlor singing his performances were exquisitely effective. In his early professional life Mr. Dempster was greatly aided and encouraged by Mrs. Isabella Browning, a pianist of note, who at that time was at the head of musical affairs in Aberdeen. In his later years the income from his published music made him independent. He died in London, March 7, 1871, surrounded by friends to whom he had long endeared himself by his warm-hearted and genial disposition, no less than by his strict morality.